Turkmenistan is a large but sparsely inhabited country with abundant hydrocarbon resources, particularly natural gas. 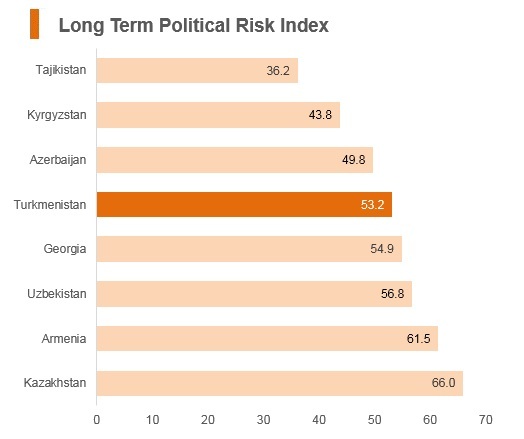 Despite its upper-middle-income status, Turkmenistan is still at an early stage of transition. The public sector and state-owned entities continue to dominate the economy and the formal labour market. Turkmenistan performed well in 2017 with GDP growing thanks to rising Chinese demand for natural gas coupled with rising prices. The government’s industrial policy looks to promote non-hydrocarbon activity. 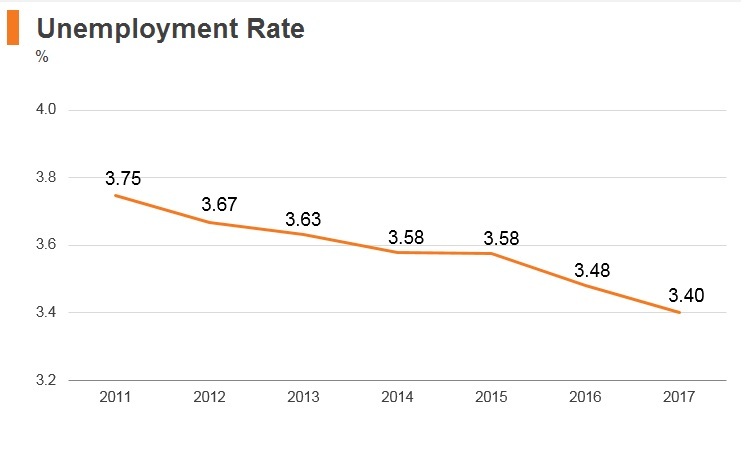 Nevertheless, tight administrative controls and the public sector’s large overall role in economic activity remain the key obstacles to private sector development in Turkmenistan. Construction work started on a USD10 billion pipeline which will carry gas from Turkmenistan to India, Pakistan and Afghanistan. Constitutional changes extended the presidential term limit from five to seven years ahead of a presidential vote on February 12, 2017. The constitutional amendment also included the removal of the 70-year age limit, and to allow the president to serve without term limits. President Berdymukhamedov gained a third term in office. Regional leaders strengthened construction work on the Afghan section of the natural gas pipeline that will link Turkmenistan through Afghanistan to Pakistan and India. Turkmenistan is not a member of World Trade Organisation (WTO), however, when drafting laws and regulations, the government usually includes a clause that states the international agreements and laws will prevail in case there is a conflict between local and international legislations. Turkmenistan pursues a policy of neutrality (acknowledged by United Nations in 1995) and does not join regional blocs. Turkmenistan is currently a member of the Economic Cooperation Organisation (ECO), a 10-member intergovernmental organisation created in 1985 to promote trade and economic cooperation among its members. Turkmenistan requires that all export and import contracts and investment projects be registered at the State Commodity and Raw Materials Exchange (SCRME) and at the Ministry of Economy. The procedure applies not only to the contracts signed at the SCRME, but also to contracts signed between third parties. The SCRME is state-owned and is the only exchange in the country. The contract registration procedure includes an assessment of price justification. All import contracts must be registered before goods are delivered to Turkmenistan. The government generally favours long-term investment projects that do not require regular hard currency purchases of raw materials from foreign markets. The import of goods into Turkmenistan is generally subject to 2% customs duty. The taxable base is determined as the customs value of imported goods. There is a list of certain items that are subject to specific customs duty (around 50 items), and the rates of specific customs duties may vary from 5% (for products such as cement) to 100% (carbonic acid) depending on the type of imported goods. In most cases, the customs duty is set on an ad valorem basis. There is also a customs clearance fee of 0.2% from the customs value of imported goods. Excise tax is paid on goods or products that are considered in the list of excised goods or products. Normally, excised goods consist of alcoholic beverages, tobacco products, and automobiles. Excise rates vary based on the type of goods as well as by domestic production or import. 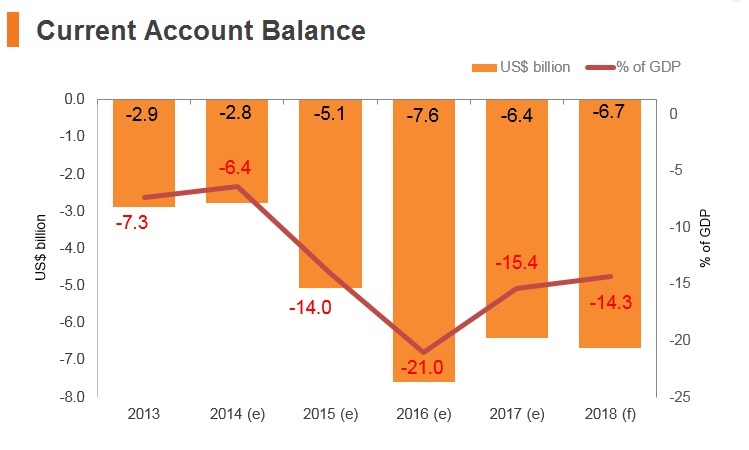 Since the oil price slump in 2015, the government has been unable to meet demand for US dollars. The state then limited the amount of US dollars that can be withdrawn per month to USD250 and imposed administrative procedures that make withdrawals more cumbersome (proof of residence is required). On January 12, 2016, the Central Bank of Turkmenistan further restricted access to foreign currency and issued a press release preventing banks from selling US dollars at the country’s exchange points. Economic growth remains highly dependent on hydrocarbons and related sectors. After the further diversification of natural gas export routes in 2009, China became the largest export market for Turkmenistan. 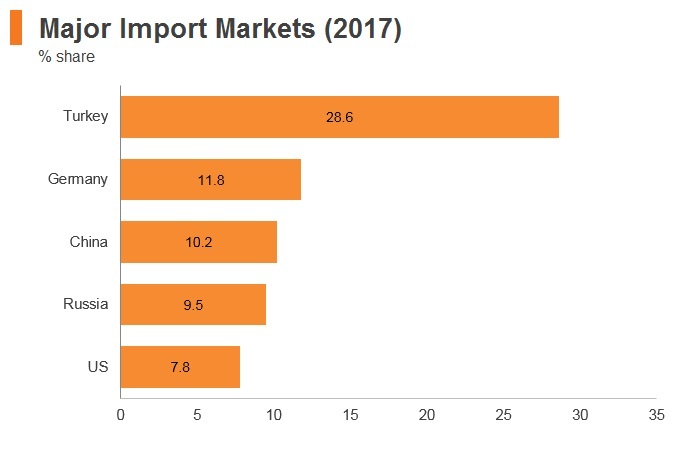 Medium-term plans envisage a further increase in natural gas exports to China and other destinations in East and South Asia, at the same time that exports to Russia have come to a halt due to transit pricing disputes. The government also introduced an amendment to the Administrative Offences Code that raises the fines for illegal foreign exchange transactions (selling and purchasing foreign currency via informal channels) and also trading in foreign currency on the territory of Turkmenistan. 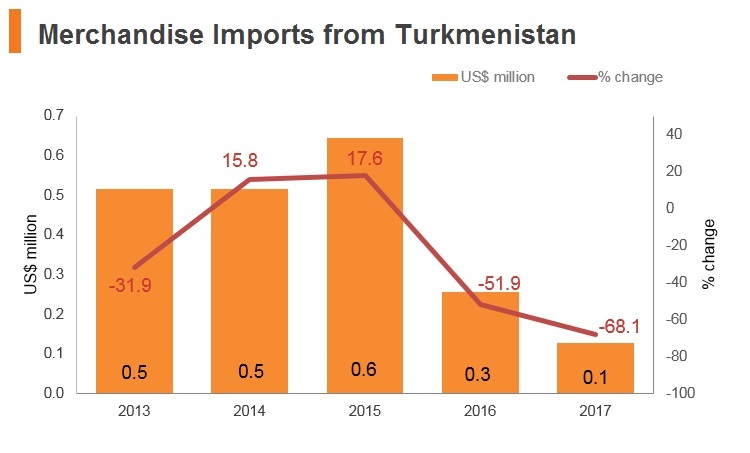 The currency is not easily convertible, and an inability to convert enough TMT into a hard currency is problematic for many companies operating in Turkmenistan. 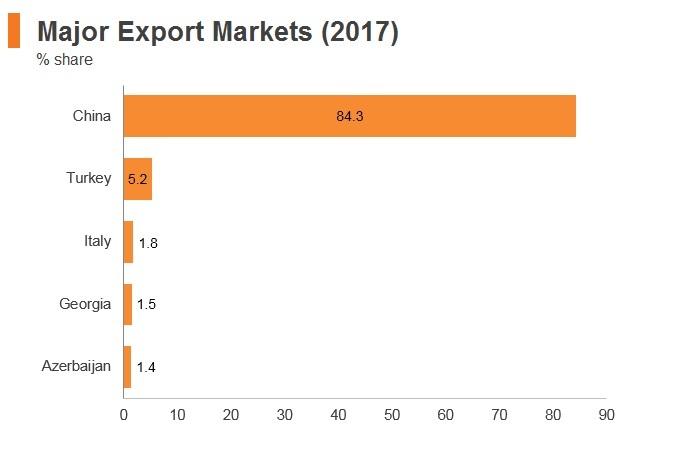 Exports of natural gas to Iran remain limited and the threat of tightening sanctions from the US and Europe further raise risk of trade with Iran, particularly for multinationals operating in Turkmenistan. In this context, a planned third pipeline to China and the proposed Turkmenistan-Afghanistan-Pakistan-India (TAPI) pipeline, if they materialise, would more than double gas export capacity. 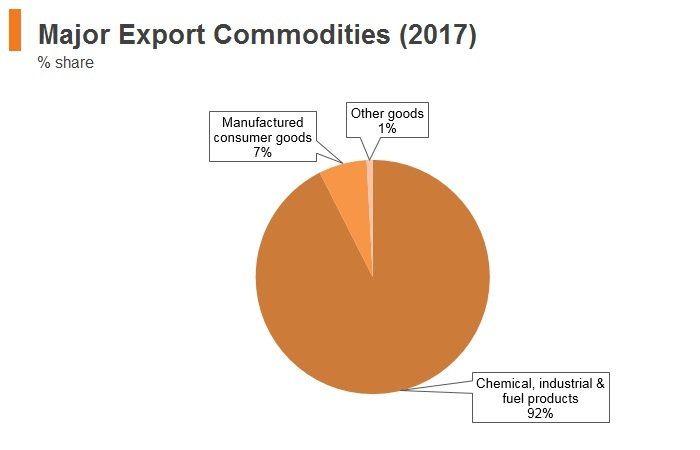 Despite the ongoing and planned diversification of markets, Turkmenistan’s exports are increasingly dependent on a single large market (China) and continue to be dominated by a single product (natural gas), making the economy vulnerable to fluctuations in exogenous shocks and global prices beyond its control. 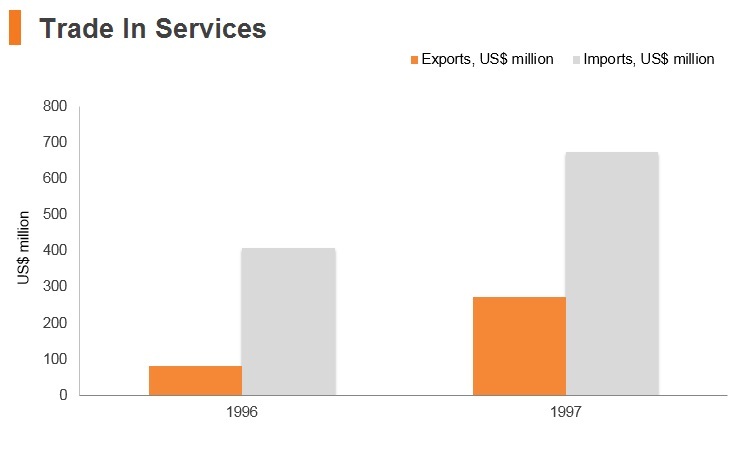 In 2015, Turkmenistan launched a policy of import substitution and there are reports of rising customs duties. Turkmenistan has introduced new customs fees for a list of six types of imported goods, including vegetables, fruits, juices and other unannounced products. A presidential resolution may waive all or some customs duties and taxes, including the excise tax. There are no standards-setting consortia or organisations besides Turkmen State Standards and the licensing agency. There is no independent body for filing complaints. Financial disclosure requirements are neither transparent nor consistent with international norms. Exports of natural gas to Iran remain limited. In this context, a planned third pipeline to China and the proposed TAPI pipeline, if they materialise, would more than double gas export capacity. 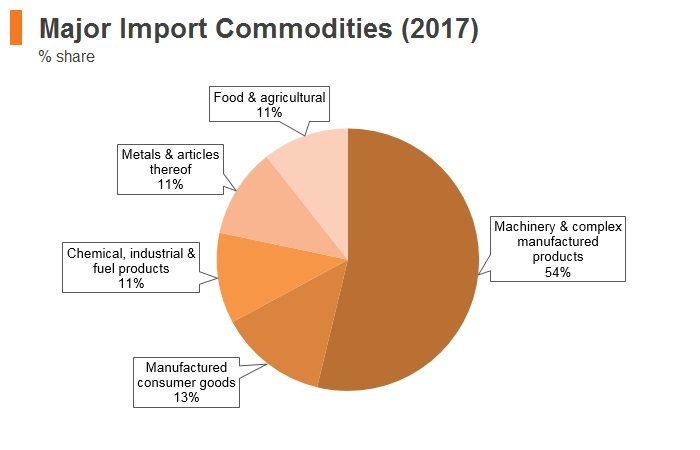 Despite the ongoing and planned diversification of markets, Turkmenistan’s exports are increasingly dependent on a single large market (China) and continue to be dominated by a single product (natural gas), making the economy vulnerable to fluctuations in global prices and exogenous shocks. 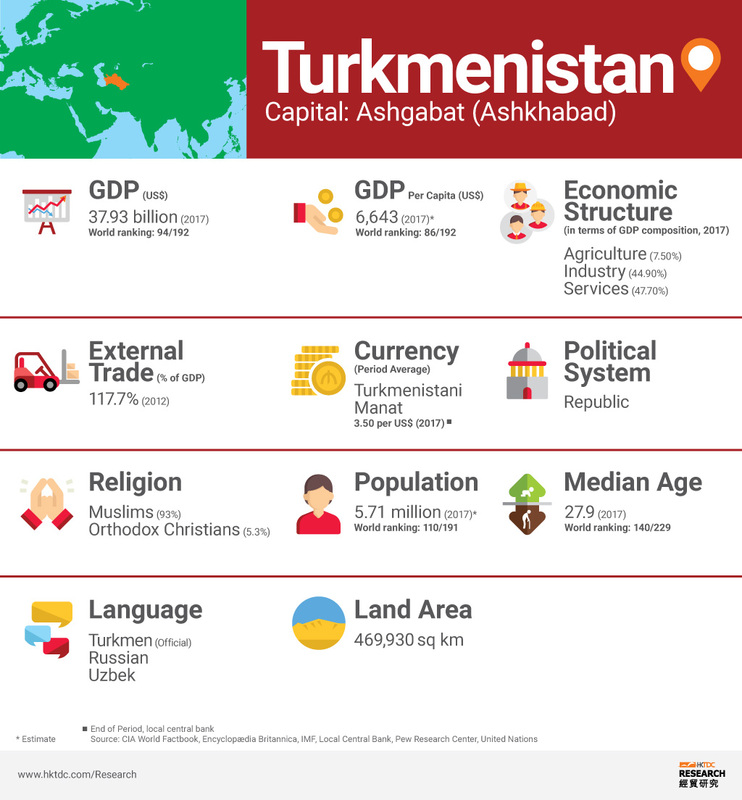 Armenia-Turkmenistan Free Trade Agreement: This agreement was signed and came into effect in July 1996 and enables the free flow of goods between the two countries at preferential tariffs and trade terms. In May 2017, Armenian President Serzh Sarkisian called for the launch of large-scale joint economic projects by Armenia and Turkmenistan. Hydrocarbon-rich Turkmenistan was Armenia’s principal supplier of natural gas until the Armenian government signed a long-term deal with Russia’s Gazprom monopoly in the late 1990s. In 2017, the Armenian government indicated its desire to resume imports of Turkmen gas via neighbouring Iran. The Azerbaijan-Turkmenistan Free Trade Agreement (Azerbaijan-Turkmenistan FTA) entered into force in 1996, but had not been notified to the WTO. Trade between the countries remains limited. Turkmenistan's rapport with Azerbaijan has long been strained due to a dispute over a big oilfield in the Caspian Sea. Berdymukhamedov sought to ease those tensions when he visited Baku in 2017. Russia-Turkmenistan FTA: This agreement was signed and came into force (GATT notified) in April 1993 and enables the free flow of goods between the two countries at preferential tariffs and terms. Georgia-Turkmenistan FTA: This agreement was signed and came into force in January 2000 and enables the free flow of goods between the two countries at preferential tariffs and terms and streamlines customs procedures. Commonwealth of Independent States Free Trade Area (CISFTA). The CISFTA's participating countries are Ukraine, Azerbaijan, Belarus, Armenia, Kazakhstan, Kyrgyzstan, Moldova, the Russian Federation, Tajikistan, Turkmenistan, Uzbekistan and the agreement was signed on October 18, 2011 and ratified by Ukraine on July 13, 2012.The free-trade zone area was designed to reduce all trade fees on a number of goods between participating countries. The agreement replaced existing bilateral and multilateral free trade agreements between the countries, although the ex-Soviet states of Azerbaijan, Turkmenistan and Georgia have not signed the agreement as full members. Turkmenistan is an associate member. In January 2013, Turkmenistan created the Agency for Protection from Economic Risks to oversee international investments in Turkmenistan. The Agency is responsible for a comprehensive review of foreign companies wishing to enter Turkmenistan’s market that includes assessment of the financial and political risks associated with allowing the company to do business in Turkmenistan. According to the 2008 Law on Foreign Investment, all foreign and domestic companies and foreign investments must be registered at the Ministry of Economy. Development and implementation of public policies to attract foreign investment, investment coordination, and assistance to foreign investors are carried out by the Cabinet of Ministers of Turkmenistan and its authorised state body. The Agency for Protection from Economic Risks under the Ministry of Economy and Development makes a decision on providing any investment-related services to potential foreign investors based on criteria such as the financial status of the investor. The Government of Turkmenistan has not undergone an investment policy review by the Organisation for Economic Cooperation and Development (OECD) or WTO. While Turkmenistan has expressed interest in exploring the WTO accession process and created an intergovernmental commission in January 2013 to review the benefits of accession, the country has not yet formally applied to join. Nevertheless Turkmenistan has signed bilateral investment agreements with Armenia, Bahrain, Belgium, China, Egypt, France, Georgia, Germany, India, Indonesia, Iran, Israel, Italy, Luxembourg, Malaysia, Pakistan, Romania, Russian Federation, Slovakia, Spain, Switzerland, Tajikistan, Turkey, Ukraine, the United Arab Emirates, the United Kingdom, and Uzbekistan. In July 2009, European Union Ministers passed a trade agreement with Turkmenistan. Energy, construction, and petrochemicals are sectors that have historically attracted the most investment in Turkmenistan. 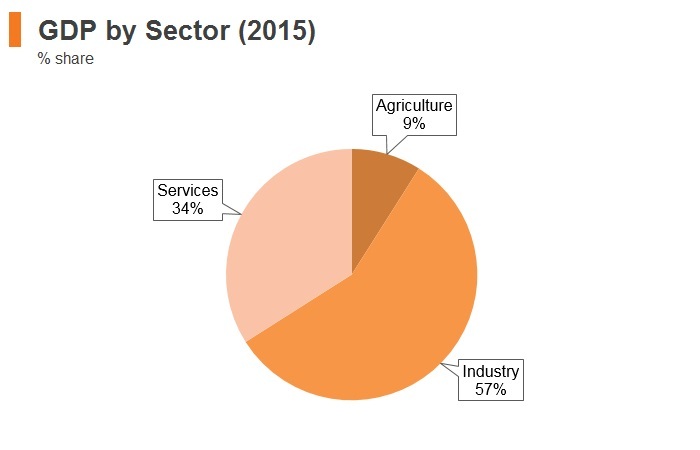 Key industries are state-owned. 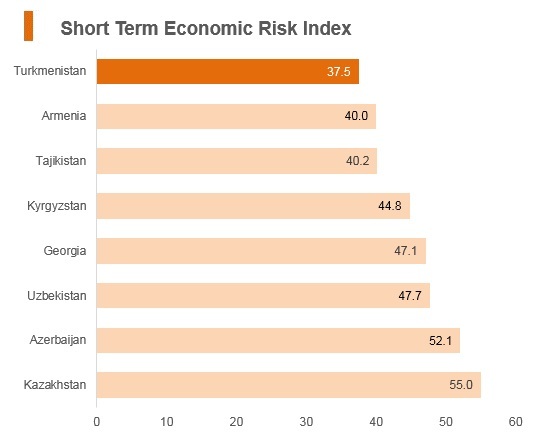 Overall, Turkmenistan has been slow to diversify its economy, relying still on abundant natural resources, such that the government has delayed first generation reforms such as price and trade liberalisation, privatisation, and the creation of institutions for market regulation, which began only after 2007 and since then progress has been slow. The Petroleum Law of 2008 (last amended in 2012) regulates offshore and onshore petroleum operations in Turkmenistan, including petroleum licensing, taxation, accounting and other rights and obligations of state agencies and foreign partners. The Petroleum Law supersedes all other legislation pertaining to petroleum activities, including the Tax Code. According to the Land Code (2004), foreign companies or individuals are permitted to lease land for non-agricultural purposes, but only the president has the authority to grant the lease. Foreign companies may own structures and buildings. Incoming foreign investment is regulated by the Law on Foreign Investment (last amended in 2008), the Law on Investments (last amended in 1993), and the Law on Joint Stock Societies (1999), which pertains to start-up corporations, acquisitions, mergers and takeovers. 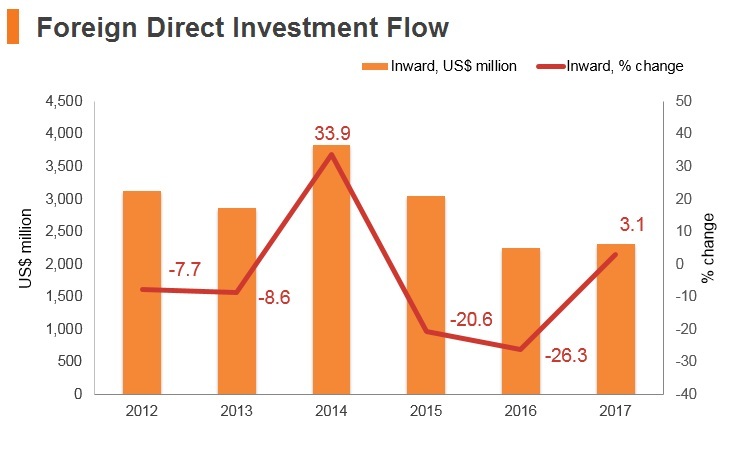 Foreign investment activities are affected by bilateral or multilateral investment treaties, the Law on Enterprises (2000), the Law on Business Activities (last amended in 2008), and the Land Code (2004). Foreign investment in the energy sector is subject to the 2008 Petroleum Law (also known as the Law on Hydrocarbon Resources, which was amended in 2011 and 2012). The Tax Code provides the legal framework for the taxation of foreign investment. The Civil Code (2000) defines what constitutes a legal entity in Turkmenistan. 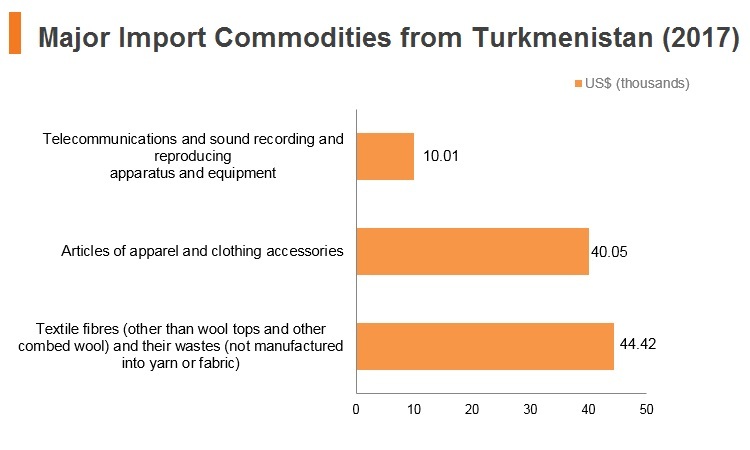 Foreign businesses in Turkmenistan face some barriers to realising return on investment, including the government’s non-consistent payment on orders received; repeated failure to respect contract law; and the challenges surrounding convert local money into hard currency for repatriation of profits, dividends, and payment to foreign suppliers. Converting the local currency and repatriating funds has become very difficult for foreign companies and their local distributors operating in Turkmenistan. Oil producers operating under the Petroleum Law (2008) receive a share of their profit in crude oil, which they ship to other Caspian Sea littoral states. 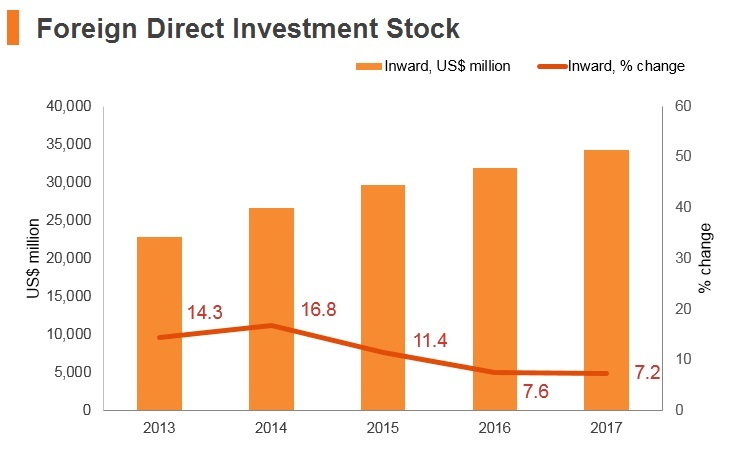 In many cases, petrochemical investors have negotiated deals with the government to recoup their investment in the form of future petroleum products. In December 2016, the government expropriated the largest (and only foreign-owned) grocery store, Yimpas shopping and business centre, in Ashgabat without compensation or other legal remedy, ostensibly to build a parking lot. In August 2016, Turkmen-Turkish University was closed down and in April 2017, the Turkish Hospital in Ashgabat was closed indefinitely. There is a risk that government officials or their agents can seize local companies run by individuals purportedly associated with the Turkish Gulenist movement. In many reported cases over the last two years, authorities jailed the legal owners of the enterprises using security-related laws as a legal pretext and reopened the businesses under new ownership. Nevertheless, the government’s dispute settlement clause in contracts generally allows for arbitration in a venue outside of Turkmenistan. Turkmenistan adopted a Bankruptcy Law in 1993. Other laws affecting foreign investors include the Law on Investments (last amended in 1993), the Law on Joint Stock Societies (1999), the Law on Enterprises (2000), the Law on Business Activities (last amended in 1993), the Civil Code enforced since 2000, and the 1993 Law on Property. Most foreign investment is governed by project-specific presidential decrees, which can grant privileges not provided by legislation. Legally, there are no limits on the foreign ownership of companies. 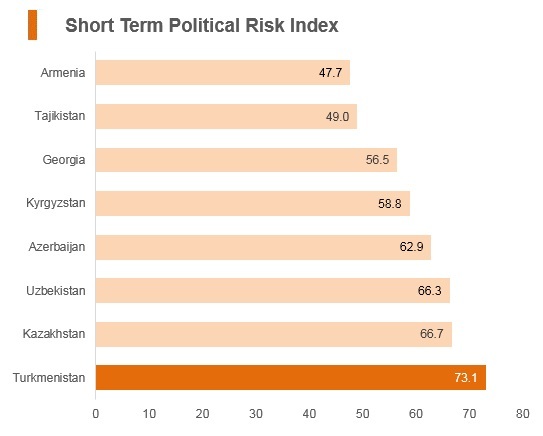 Although Turkmenistan regularly amends its laws ostensibly to meet international standards, the country often fails to implement investment-related legislation. The government seeks foreign technology and investment in order to diversify its economy through the development of domestic chemical and petrochemical industry facilities. Decisions to allow foreign investment are often politically driven. While Turkmenistan does not have a specific law that governs competition, Article 17 (Development of Competition and Antimonopoly Activities) of the Law on State Support to Small and Medium Enterprises seeks to promote fair competition in the country. The president has issued special decrees granting exemptions from taxation and other privileges to specific investors while they recoup their initial investment. The assets and property of foreign investors should be insured with the State Insurance Company of Turkmenistan pursuant to Article 53 of the 2008 Petroleum Law and Article 3 of the 1995 Insurance Law. National accounting and financial reporting requirements apply to foreign investors. Private entities in Turkmenistan have the right to establish and own business enterprises. The 2000 Law on Enterprises defines the legal forms of state and private businesses (state enterprises, sole proprietorships, cooperatives, partnerships, corporations and enterprises of non-government organisations). The law allows foreign companies to establish subsidiaries, though the government does not currently register subsidiaries. The Civil Code of Turkmenistan and the Law on Enterprises govern the operation of representative and branch offices in Turkmenistan and all firms must be registered with the Ministry of Economy. The 2008 Law on the Licensing of Certain Types of Activities (last amended in November 2015) lists 44 activities that require government licenses. The Law on Enterprises and the Law on Joint Stock Societies allow acquisitions and mergers. Turkmenistan’s legislation is not clear, however, about acquisitions and mergers involving foreign parties, nor does it have specific provisions for the disposition of interests in business enterprises, both solely domestic and those with foreign participation. Governmental approval is necessary for acquisitions and mergers of enterprises with state shares. On January 1, 2012, Turkmenistan’s banks switched to International Financial Reporting Standards (IFRS). Government agencies transitioned to National Financial Reporting Standards (NFRS) in January 2014. 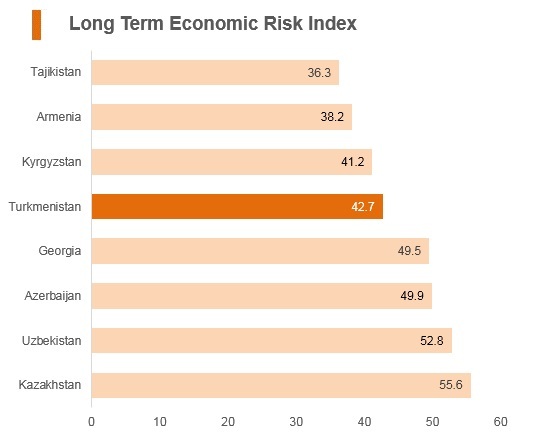 Despite these positive steps, however, Turkmenistan remains one of the most closed economies in the region and some financing of large projects remains off the banks’ books. The nature of government-awarded contracts may vary in terms of the requirements for ownership of a local enterprises. All contractors operating in Turkmenistan for a period of at least 183 days a year must register at the Main State Tax Service. National accounting and international financial reporting standards apply to foreign investors. In the energy sector, Turkmenistan precludes foreign investors from investing in the exploration and production of its onshore gas resources. All land in Turkmenistan is government-owned. The State Migration Service of Turkmenistan requires that citizens of Turkmenistan make up 90% of the workforce of a company owned by a foreign investor. Although there is no specific legislation requiring foreign investors to receive government approval to divest, in practice they are expected to coordinate such actions with the government. Moreover, there are several tax examinations, license extension permits, and customs clearance and visa issuance obstacles that investors face. In most cases, the government has insisted on maintaining a majority interest in any joint venture. While the government has stated that it seeks to increase the private sector’s participation in the economy to 70% by 2020 and recent emphasis has been placed on transforming Turkmenistan from a commodity producer to a value-added manufacturer, though this has largely failed to materialise to date. 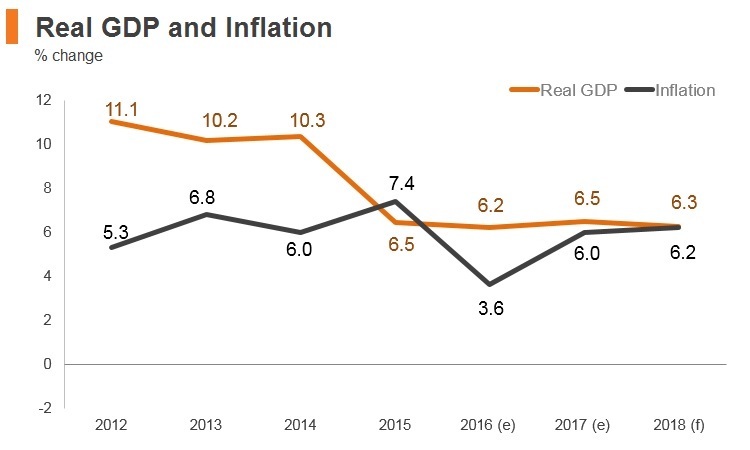 The top economic priorities for the government remain achieving self-sufficiency in food supplies and increasing domestic production as part of import substitution. Foreign companies are not invited to participate in the research and development projects funded solely by the Government of Turkmenistan. However, the government will allow foreign companies to finance joint research and development projects and collaborate on them with government agencies. There are no legal limits on the foreign ownership or control of companies. In practice, the government has only allowed fully-owned foreign operations in the oil sector and, in one case, in cellular communications. Foreigners may establish and own businesses and also engage in business activities within the boundaries of domestic laws, but repatriation of revenues is very challenging as currency conversion remains a major issue in the country. According to the Law on Foreign Investments, foreign investors, especially those operating in the free economic zones, may enjoy some incentives and privileges including license and tax exemptions, reduced registration and certification fees, land leasing rights, and extended visa validity. Turkmenistan does not have a business registration website that could be used by domestic or foreign companies. Depending on the type of business activity a foreign company seeks in Turkmenistan, registration with Turkmenistan’s Main State Tax Service, the Local Statistics Office, the Agency for Protection from Economic Risks, the Registration Department under the Ministry of Economy and Development, and the State Commodity and Raw Materials Exchange of Turkmenistan could all be required. Business registration usually takes about six months and often depends on personal connections in various government offices. Almost all business-related activities must be conducted by foreigners in person (alternatively a local agent could be hired) after receiving a letter of invitation to travel to the country; permission also must be received from the government to meet with state ministries, agencies, and enterprises. There are 10 free economic zones (FEZs) in Turkmenistan: Mary-Bayramaly; Ekerem-Hazar; Turkmenabat-Seydi; Bakharly-Serdar; Ashgabat-Anew; Ashgabat-Abadan; Saragt; Guneshli; Ashgabat International Airport; and Dashoguz Airport. The Law on Economic Zones for Free Enterprise was enacted in 1993. The law guarantees the rights of businesses, both foreign and domestic, to operate in FEZs without profit ceilings. The law forbids the nationalisation of enterprises operating in the zones and discriminating against foreign investors. Awaza (Avaza) Tourist Zone (ATZ) In 2007, Turkmenistan created the ATZ to promote tourism and the development of its Caspian Sea coast. It granted some tax incentives to entities willing to invest in the construction of hotels and recreational facilities. Amendments to the Tax Code in October 2007 exempted construction and tourist facilities in the ATZ from VAT. Services offered at tourist facilities, including catering and room accommodations, are also exempt from VAT until 2020. In general, tax and investment incentives for the ATZ can be negotiated case by case. Turkmenistan also adopted multiple-year national development programmes in various sectors of economy, which might include separate sub-sections on attracting investment in these sectors. However, the country’s visa regime is rigid. Starting from January 1, 2017, non-resident entities that enjoy double tax treaty (DTT) benefits in Turkmenistan are obligated to provide renewed tax residency certificates by March 1 on an annual basis in order to continue using DTT benefits. Tax agents are required to facilitate the timely submission of the tax residency certificates of its non-resident suppliers; otherwise, they should apply withholding taxes (WHTs) on Turkmenistan-sourced income of non-residents as per the domestic regulations. Non-residents are allowed to resume utilising the DTT benefits once they submit the renewed tax residency certificates to the tax authorities. From November 4, 2017, the newly merged Ministry of Finance and Economy of Turkmenistan became the main tax regulating authority in Turkmenistan. Foreign tax credits are available to tax residents of Turkmenistan based on the provisions of the respective tax treaties. The tax credited shall not exceed the tax liability computed in accordance with Turkmenistan regulations. Furthermore, tax and investment incentives may be negotiated on a case-by-case basis. The president has often issued special decrees granting taxation exemptions and other privileges to specific investors. The Turkmen government seeks to implement a labour rule that requires foreign companies to hire nine local employees for every one international staff member employed in the country. The State Migration Service of Turkmenistan requires that citizens of Turkmenistan make up 90% of the workforce of a company owned by a foreign investor. The regulation on this ratio does not differentiate between senior management and other employees. Generally, with respect to the issuance of work permits to foreign individuals, the State Migration Service adheres to the principle of priority to Turkmenistan citizens regarding the filling of vacant positions, as well adherence to an established ratio of the number of Turkmenistan citizens and foreign individuals working at a company. An invitation to a foreign specialist to hold a position of the head of a company, division, department, workshop or similar unit must be accompanied by copies of documents confirming work positions held by such specialist within the last five years. The sponsor (inviting organisation) must submit the application for a work permit to the State Migration Service. A work permit is usually issued for one year and should be renewed each subsequent year. For each extension of a work permit, the same set of documents must be submitted. The maximum number of work permit renewals is not established in the Turkmenistan legislation. Foreign individuals or stateless persons can apply for residence permits if they have resided in Turkmenistan for at least the past two years. In accordance with the law, citizens of all countries require a visa to visit Turkmenistan. To obtain a tourist visa for Turkmenistan, all foreign nationals must supply an invitation letter issued by an agency licensed in Turkmenistan. A work permit is required if a person arrives in the country for business (employment) purposes and intends to stay in the country for more than one month. A business stay in the country for 30 days or less does not require a work permit. The State Migration Service controls access to the country and monitors the movement of foreign citizens. All visitors staying for more than three business days are required to register with the State Migration Service on entry. Visa-related decisions are not transparent. Often representatives of foreign businesses seeking to enter Turkmenistan for the first time often have difficulty obtaining an entry visa unless invited by a government agency or by a local business partner. Travel to most border areas requires a special permit. A special permit, issued prior to arrival by Ministry of Foreign Affairs, is required if visiting the following places: Atamurat, Cheleken, Dashoguz, Serakhs and Serhetabat. For members of diplomatic missions, consular offices and other equivalent representative offices of foreign states and international organisations in Turkmenistan, foreign journalists accredited in Turkmenistan and their families - an accreditation card issued by the Ministry of Foreign Affairs of Turkmenistan and written or electronic requests from these missions, agencies and organisations is required. For foreign citizens and stateless persons who are invited by organisations of Turkmenistan and permanent representations of foreign organisations- a written or electronic request from these organisations and representative offices are required. For foreign citizens and stateless persons coming to Turkmenistan for official and business purposes - a written or electronic request from the inviting organisation together with a set of required documents confirming the official or business nature of the trip are required. For foreign citizens and stateless persons coming to Turkmenistan for work purposes (labour migration) a permit from the State Migration Service of Turkmenistan for carrying out work in Turkmenistan is required. For foreign citizens and stateless persons coming to Turkmenistan on private business: an invitation for the individuals according to the established template or a written or electronic request of a foreign citizen. An HIV Certificate for an invitation to a foreign citizen staying for a period exceeding three months is also required. The cost of a visa depends on the citizenship, duration of stay and number of entries of the individual. The charge for a 12-month business visa is up to USD515 for the multiple-entry visa. The charge for a single-entry visa is up to USD385. If the visa is issued at the airport, an additional charge of USD50 is imposed. If the visa is issued at the border zone, the charge for visa is doubled (for example USD515 x 2). The State Migration Service may consider letter of invitation visa applications for up to 45 days. A single-entry visa for less than 30 calendar days can be issued within 10 days, or within three days on an urgent basis. LOI visas for stays exceeding 30 days and requiring work permits are considered within 45 days (if no urgent basis exists). Renewals and extensions of such visas may also take up to 45 days. 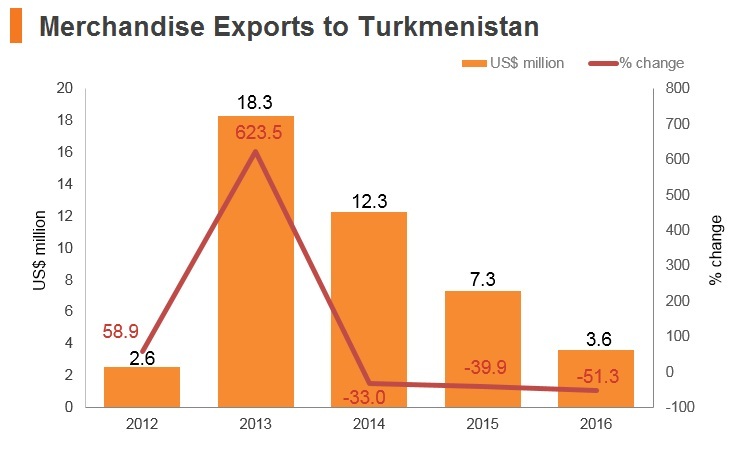 Turkmenistan's economic growth prospects will remain flat over the coming years owing to its heavy reliance on hydrocarbon exports and a narrow economic base. Despite a ramp-up in Chinese demand for gas, Turkmenistan's gas exports to China are unlikely to increase significantly as a substantial part of this demand will be met by LNG imports from Australia over the near term. Over the longer term, however, gas exports to China are likely to pick up following the completion of Line D of the Central Asia - China Pipeline slated for 2020. 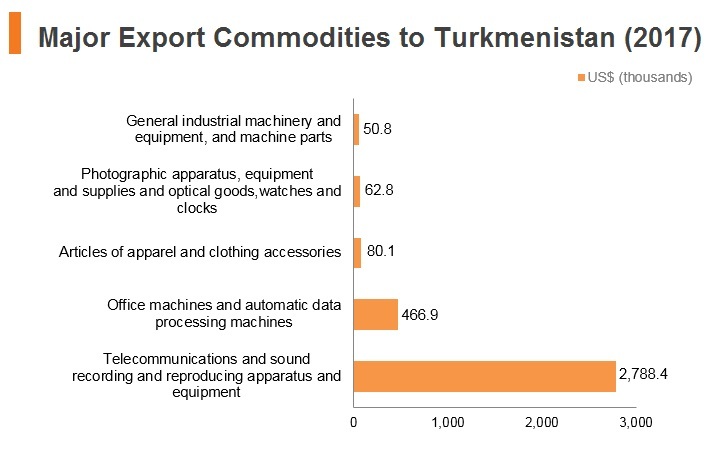 Turkmenistan imports the vast majority of its industrial equipment and consumer goods. 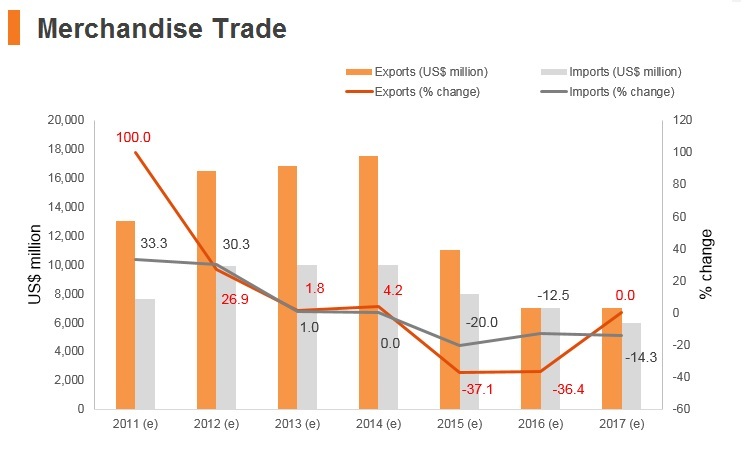 The government’s foreign-exchange reserves and foreign loans pay for industrial equipment and infrastructure projects, however, the country's exports remain heavily exposed to fluctuations in global oil and gas prices due to the narrow basket of key export products. The abundant gas deposits underneath the Karakum Desert, which occupies 70% of the land area of Turkmenistan, remain the backbone of Turkmenistan's economy. Unlike other Central Asian countries which have rapidly transformed their economies in a more market-friendly direction, Turkmenistan has made progress towards diversifying its trade basket and modernising its economy. Logistics risk remain elevated due to the lack of sufficient overland connectivity and limitations in utilities infrastructure. Furthermore, labour market risks remain elevated due to foreign worker limitations and relatively uncompetitive domestic skills development. Turkmenistan has entered into double tax treaties with China, and bilateral investment treaties betwene the two states have been in force since June 1994. Under the Tax Code, income tax paid outside Turkmenistan by tax residents may be credited against the income tax payable in Turkmenistan on the same income, but may not exceed the amount of Turkmenistan tax accrued. All Hong Kong SAR passport holders require a visa for Turkmenistan. All foreigners require a visa to enter Turkmenistan and transit visas are the only visas issued without a letter of invitation. Permits are needed to visit the border regions of Turkmenistan. The nearest embassy to Hong Kong is in China. The Embassy of Turkmenistan requires that the applicant submit their visa application directly as they may require an in-person appointment. The following areas are termed ‘class one’ border zones and entry without documentation is theoretically not possible: Eastern Turkmenistan Farab, Atamurat (Kerki) plus adjoining areas, Kugitang Nature Reserve, Tagtabazar and Serkhetabat. Northern Turkmenistan Entire Dashoguz region including Konye-Urgench, Dargan-Ata and Gazachak. Western Turkmenistan Bekdash, Turkmenbashi, Hazar, Dekhistan, Yangykala, Gyzyletrek, Garrygala, Nokhur and surrounding villages. Ashgabat, Mary, Merv, Turkmenabat and Balkanabat are not restricted, but anywhere outside these areas should be listed on a general visa, thus giving permission to go there.